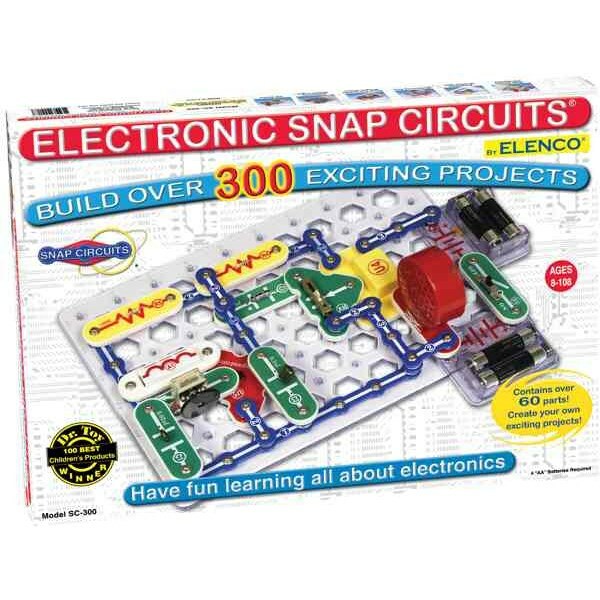 The Snap Circuits 300 Set features more 300 educational electronic experiments. Snap Circuits are child friendly electronics construction sets that feature snap together components. 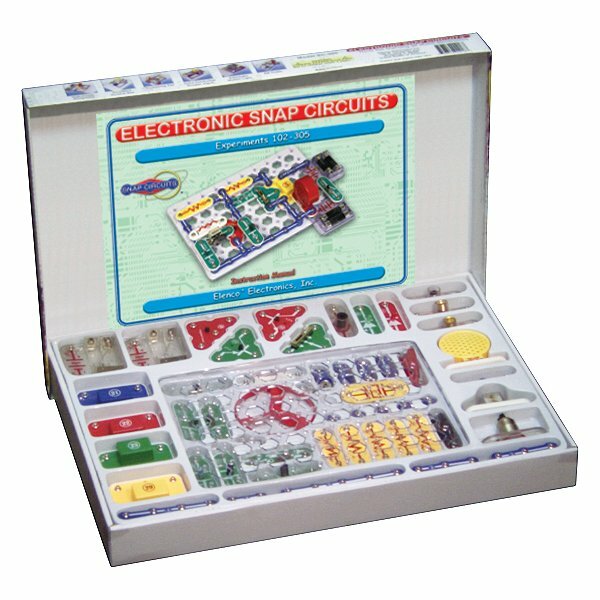 This set offers a grand total of 305 electronic projects. 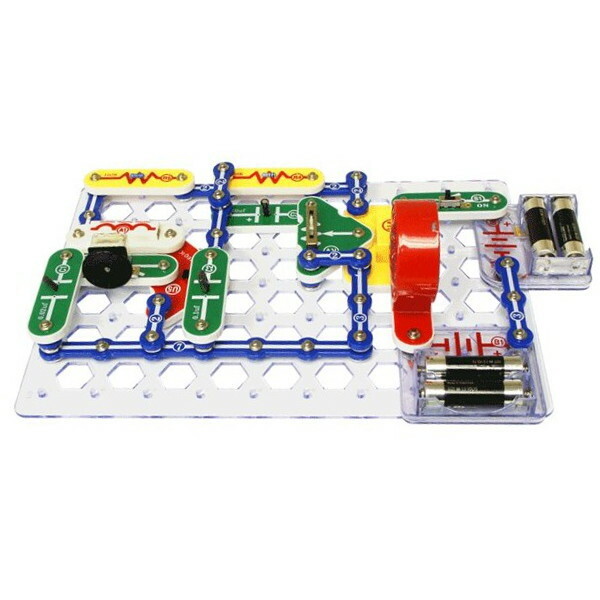 Electronics projects include everything from the Snap Circuits Jr Set plus 200 more. The long list of projects includes an AM Radio, Lie Detector, Radio Announcer, Burglar Alarm and more. Learn about motors, sensors and transistors. This set contains more than 60 component parts that are fully compatible with other Snap Circuits kits.